A year ago, smarting over public criticism of its role in promoting division and stoking racism, Facebook announced a major shift in its newsfeed algorithm which would downrank posts from media organizations and uprank the things sent by your friends on the network, in the name of promotion a gentler form of "engagement" that would emphasize discourse over clickbait, which founder Mark Zuckerberg promised would be "time well spent." A year later, Facebook's feeds are dominated by furious debates about abortion, religion and guns, sparked by Fox News stories shared by users' right-wing, racist friends and relatives. Fox stories attract twice as many "angry" emojis (😡) as news from any other source. The top news table of stories from other sources tilt heavily towards hoaxes and conspiracies, including a fake story about New York State permitting abortions up to the predicted birth date, Henry Winkler being dead (he's not), the Momo hoax, and a fake site called "Conservative Tears." The findings are documented in Newswhip's 2019 Guide to Facebook Publishing and summarized in an excellent Nieman Lab post. There are a lot of takeaways here, the one that strikes me hardest is that this is a perfect story about the dangers of paying engineers by the amount of "engagement" their feature delivers from the system's users. We know that hoaxes, racism, acrimony, and harassment all increase the amount of time people spend engaging with a service, because these unpleasant things are hard to look away from. 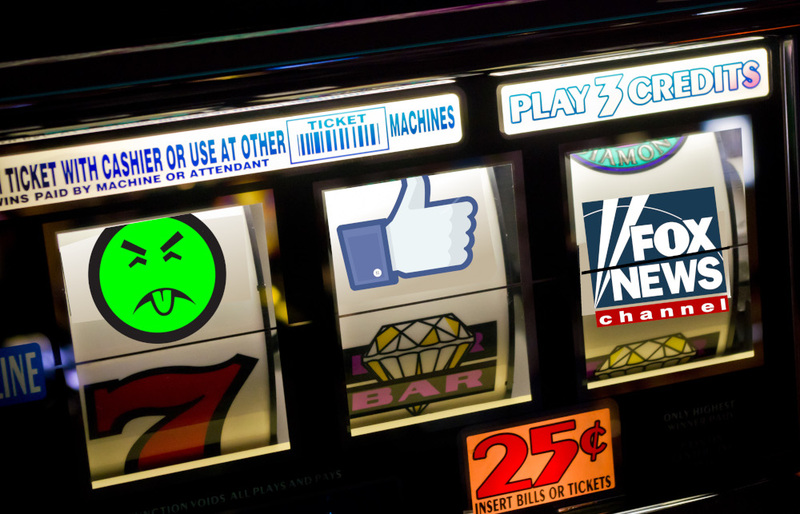 If you ask an engineer to maximize engagement without asking them to minimize these unpleasant things, you will always end up with a slot-machine whose jackpot is Fox News.